It's time to glow, gorgeous. Glow Neroli Skin Cleanser is a luxuriously silky cream cleanser made with organic botanical ingredients. Featuring Neroli Hydrosol and Organic Sea Buckthorn this fruity-floral scented cleanser is loaded with nourishing botanicals that will truly make your skin glow. Glow Neroli Skin Cleanser is a mild, silky cream cleanser that leaves the skin feeling soft and smooth. Featuring neroli hydrosol (floral waters) and organic sea buckthorn, this is a gentle cleanser which removes impurities while nourishing and protecting the skin. It is made with all natural, botanical ingredients and has a refreshing, fruity floral scent. Formulated with a rich blend of fatty acids, silk peptides and powerful antioxidants, this creamy cleanser will leave your skin glowing and hydrated. This product is also available as a part of the Glow Neroli Skincare Package. Sea Buckthorn is a nutrient powerhouse! It is grown in the Himalayas at a high altitude, and the plant, in it's challenging environment, adapts by producing a myriad of phytochemicals that are incredibly beneficial to us. Sea Buckthorn is considered a powerful super fruit, containing all of the Omega fatty acids (3,6,9, and the rare 7). It is rich in amino acids, a multitude of vitamins, over 60 antioxidants, 20 minerals, carotenoids, flavanoids, and it is absolutely wonderful for our skin. It truly makes the skin glow. At glow essentials, we use a Sea Buckthorn botanical extract AND an Organic Sea Buckthorn CO2, which is a super concentrated essential oil. Silk Amino Acids are silk peptides. These are the best at reducing fine lines and other signs of aging. With an amazing texture and moisture binding properties, silk amino acids rejuvenate skin tone, reduce wrinkles and hydrate your skin tissues to protect from free radicals. These proteins work to replenish the collagen and elastin, which give our skin its strength, texture and resiliency. Apply to face and neck area, rubbing lightly in circular motions to cleanse. Rinse with warm water, gently wiping away impurities with a washcloth. Follow with Glow Neroli Day Serum for AM use or Glow Neroli Night Serum for PM use. 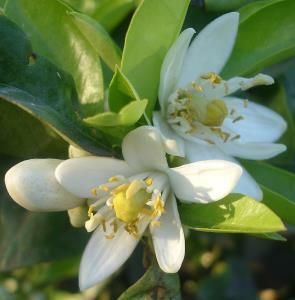 For more information about our Glow Neroli Skincare Line, click here.